Amadix is a unique investment opportunity. Let us explain to you why. 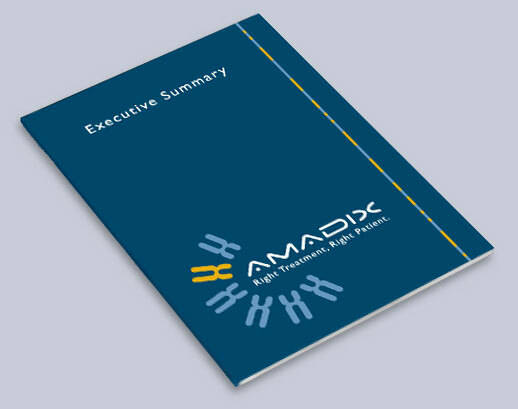 Amadix is a biotechnology company developing innovative diagnostic tools in oncology to improve the diagnosis of different types of cancer through a non-invasive test. Our mission is to create value for shareholders by developing and commercializing innovative diagnostic tools that address unmet medical needs in the field of oncology, reaching patients and physicians all around the world, with benefits for the company, community and researchers. As of today, Amadix has a pipeline of innovative tests in development, for early diagnosis in colon, lung, and pancreatic cancer.